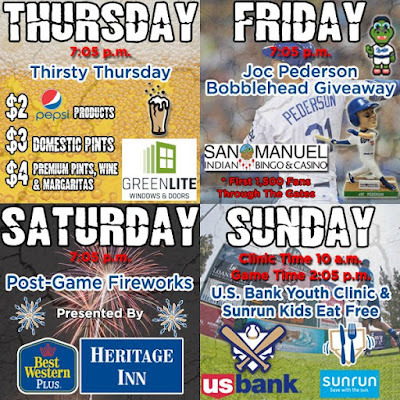 There doesn't appear to be much in the way of Dodgers related events this weekend, but there is something going on at our Single-A ballclub in Rancho Cucamonga. The RC Quakes are giving out a Joc Pederson bobblehead to the first 1,500 fans at their game this coming Friday against the Rawhide. Go here for information. 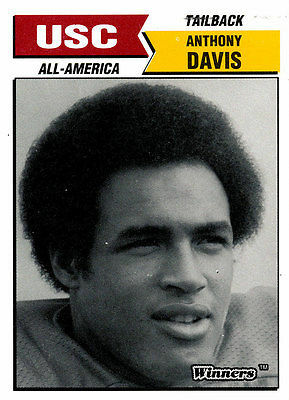 Football legends Charles White and Anthony Davis will be signing autographs at the Holiday Inn in La Mirada on Sunday, April 24, 2016 from 4:00 PM to 6:00 PM. It is a part of the KDB Sports Fest that is held there every Sunday from noon to 8:00 PM. Go here or here for information. 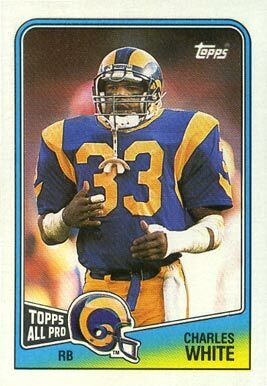 Both played for San Fernando High School, USC Trojans, & Los Angeles Rams. There is no cover charge for admission, but the autographs are a fee of $20 each.